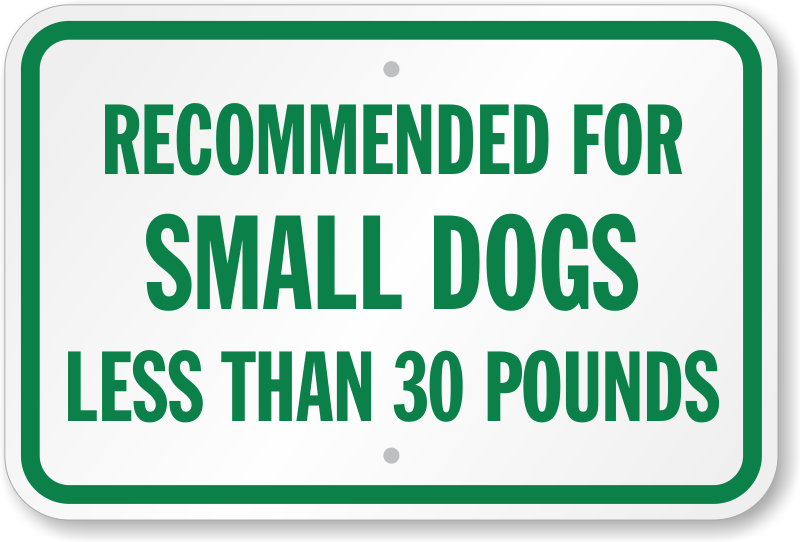 You don’t want aggressive dogs to attack other small dogs. Or, some messy ones digging or pooping in your park and their owners simply walking off without paying a heed. 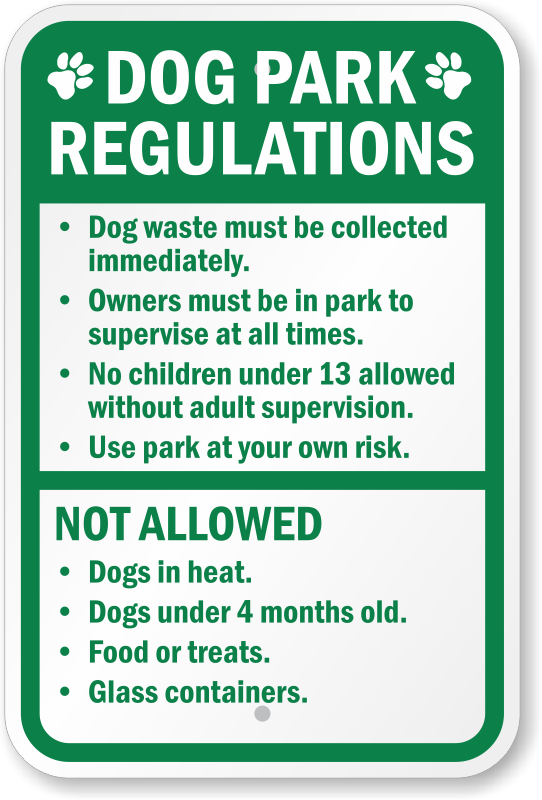 Dog Park Regulation Signs encourage dog owners to follow rules of the dog park and ensure everyone’s safety. 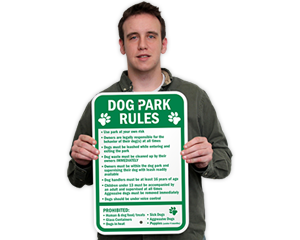 These signs ensure a peaceful dog walking experience and prevent unnecessary damage. 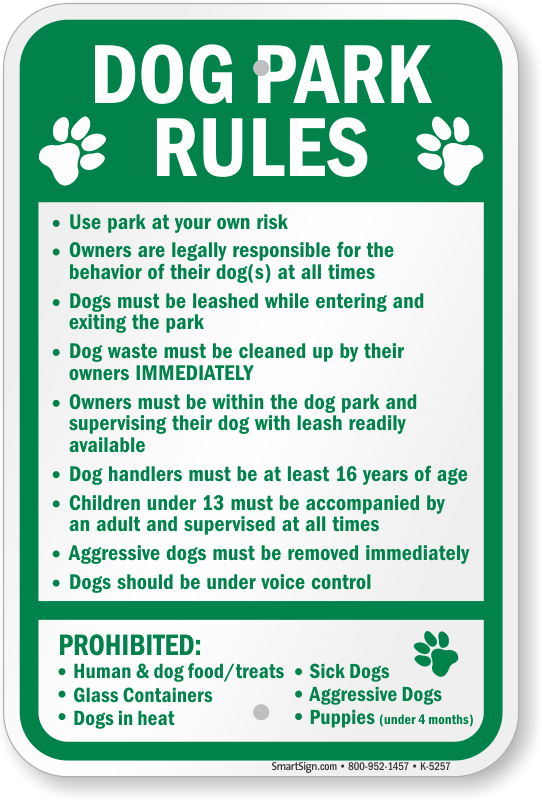 • Chalk out your own Dog Park Rules. 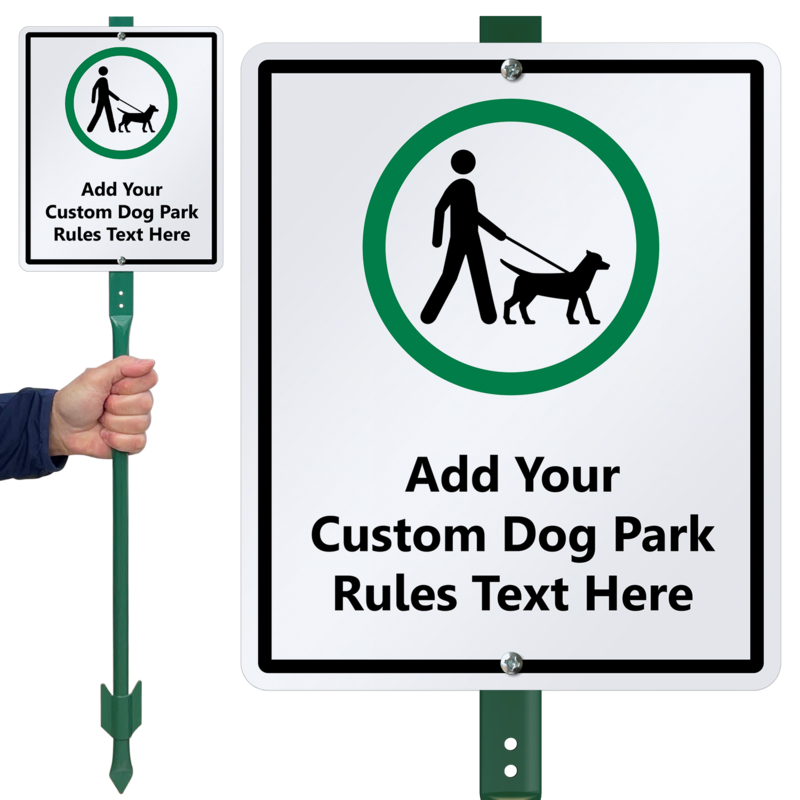 Start with one of our custom templates and tweak the language to fit your property. 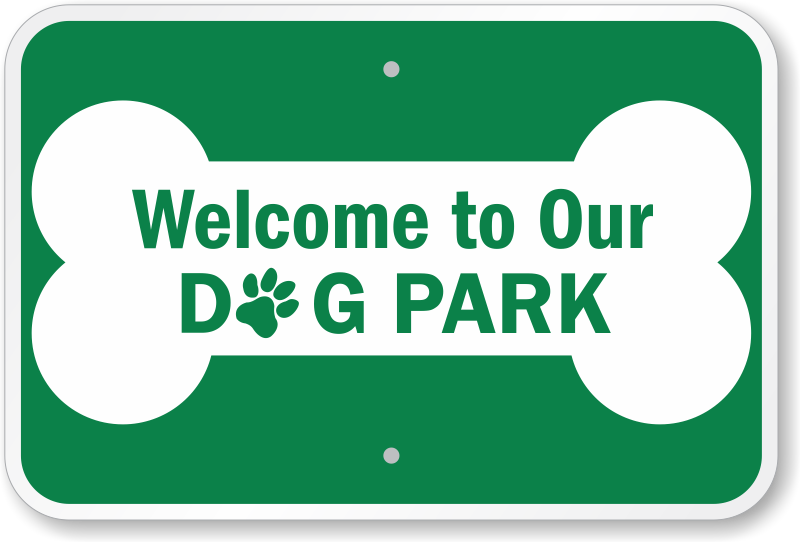 • Signs feature dog paws, dog bone, or leashed dog graphic, ideal for all dog parks. Want to learn more? 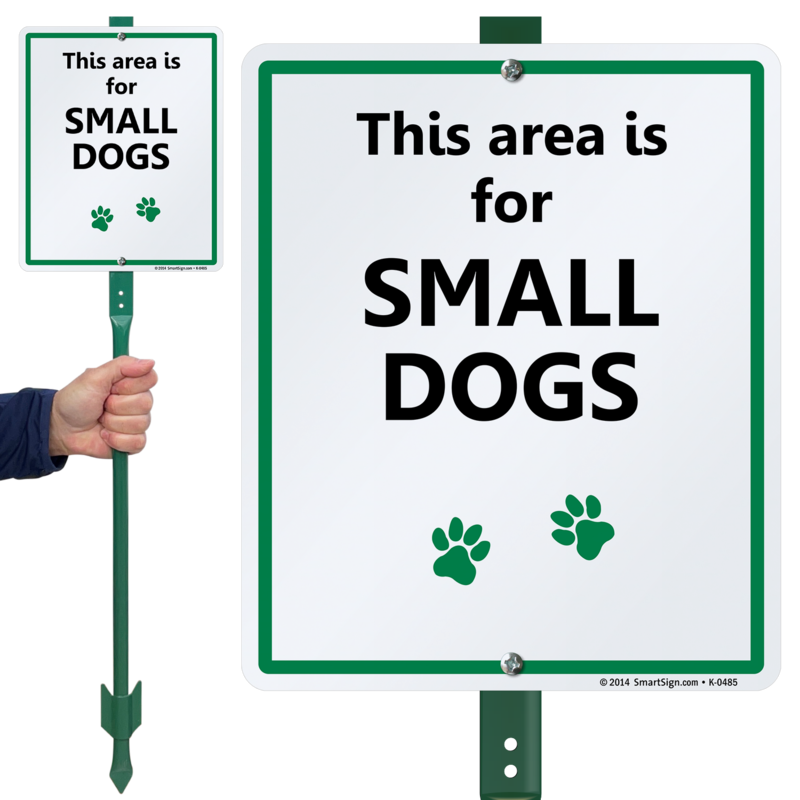 Simply hover your mouse over any sign image for more details. 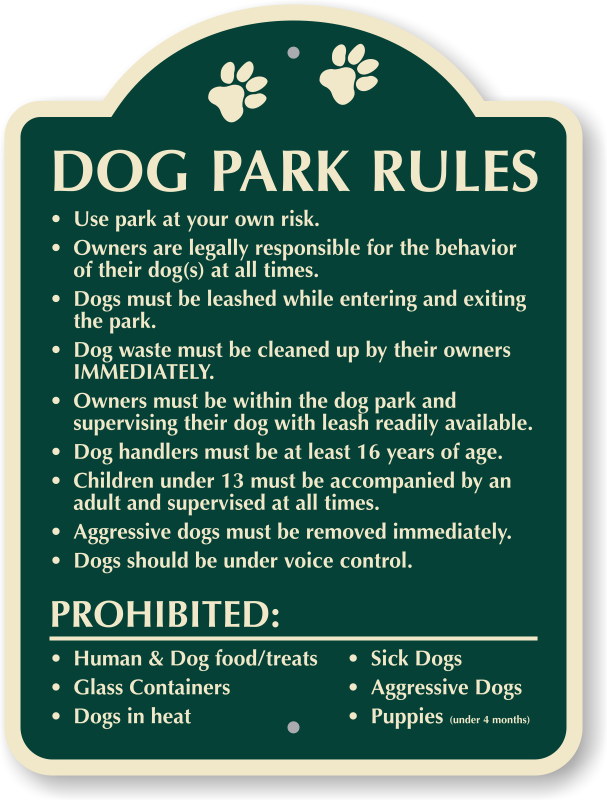 Understanding or stubborn - dog owners in every community should be treated differently. 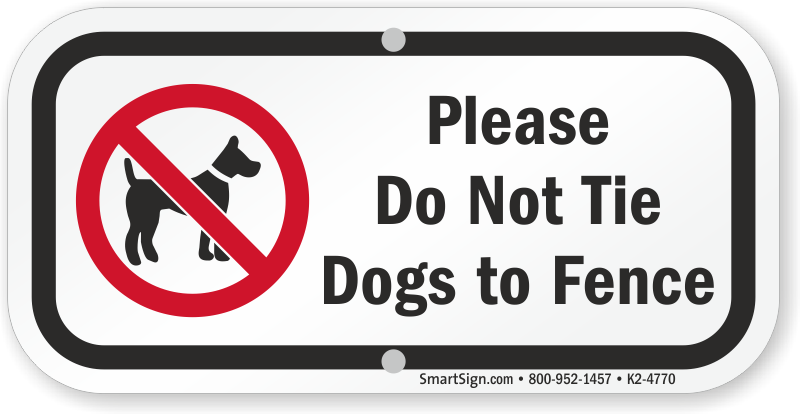 Customize a sign and make sure your message is effective. 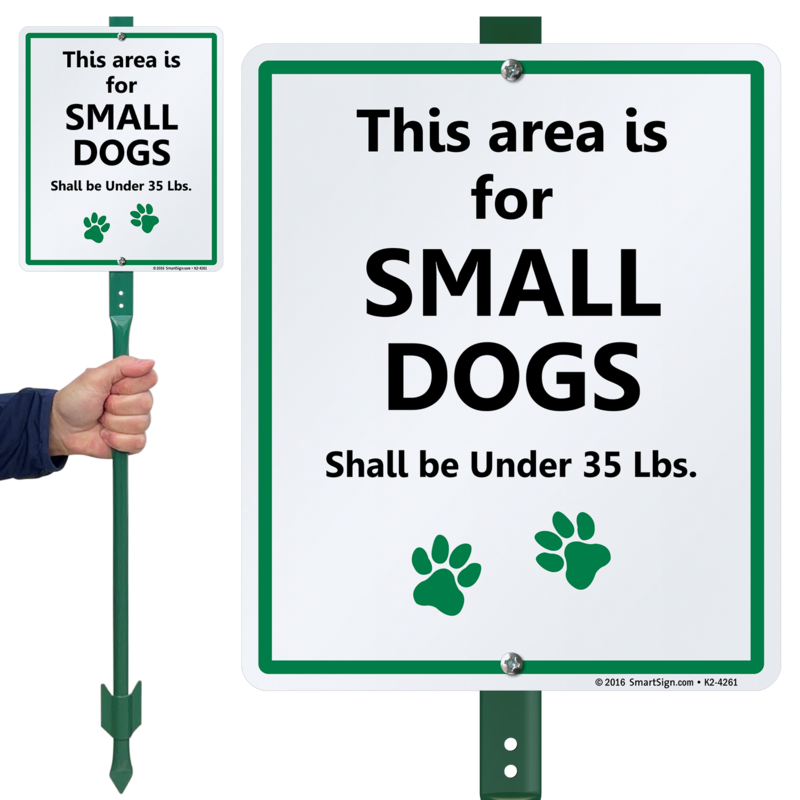 This Area Is For Small Dogs Shall Be Under 35 Lbs. The signs are just as I ordered. 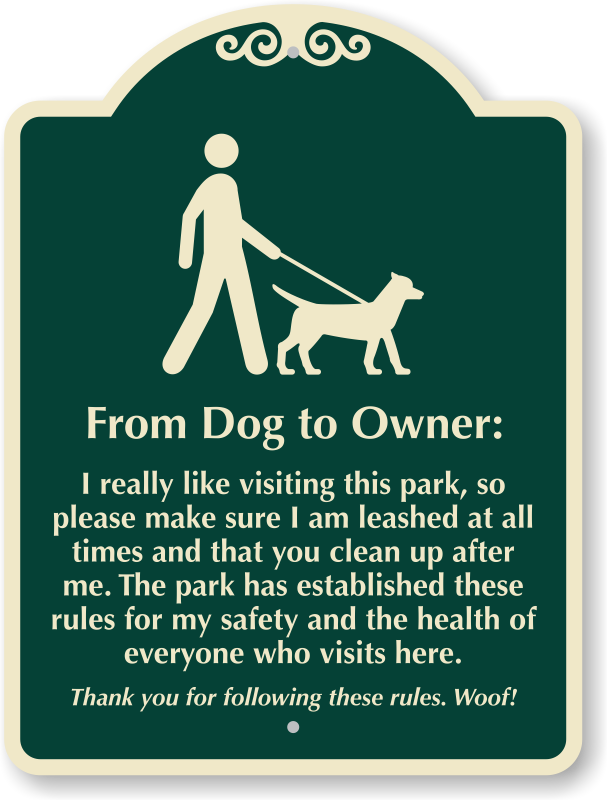 The graphics and wording are very clear. Shipping was quick! 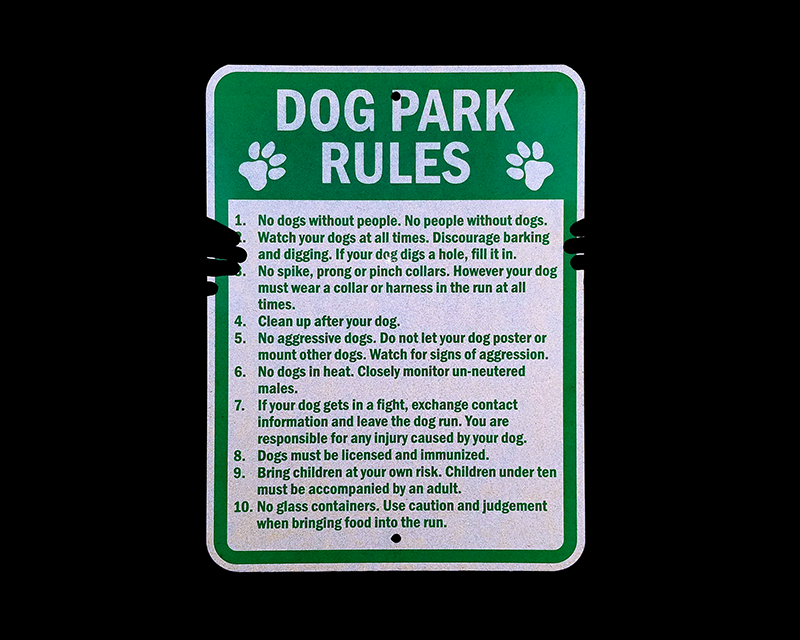 Perfect for a dog park! Perfect Experience From Beginning To End! 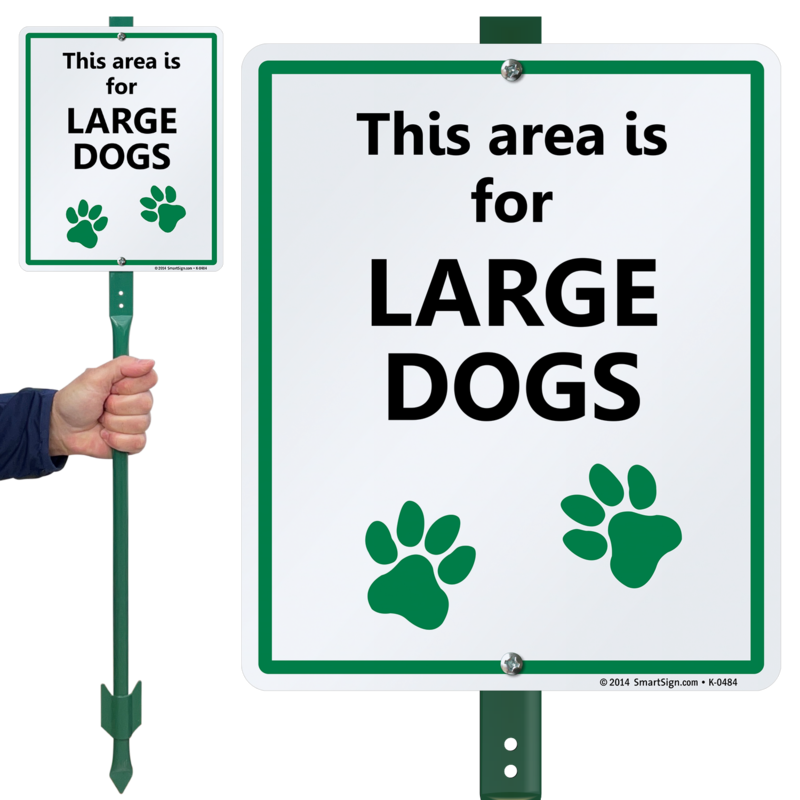 My signs look great! 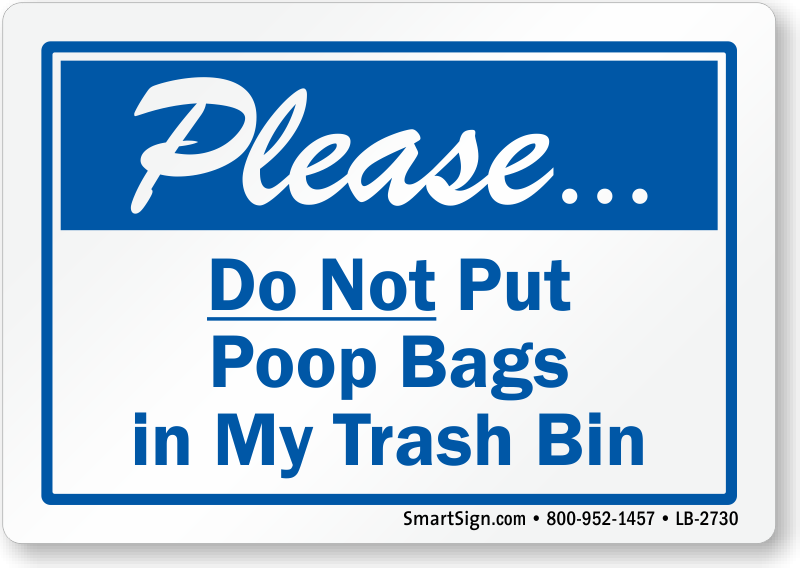 I was surprised, yet not all that surprised, (if you know what I mean) there is a website dedicated to dog poop signs, but I am happy to see there is. The website is easy to navigate, and the transaction was flawless. 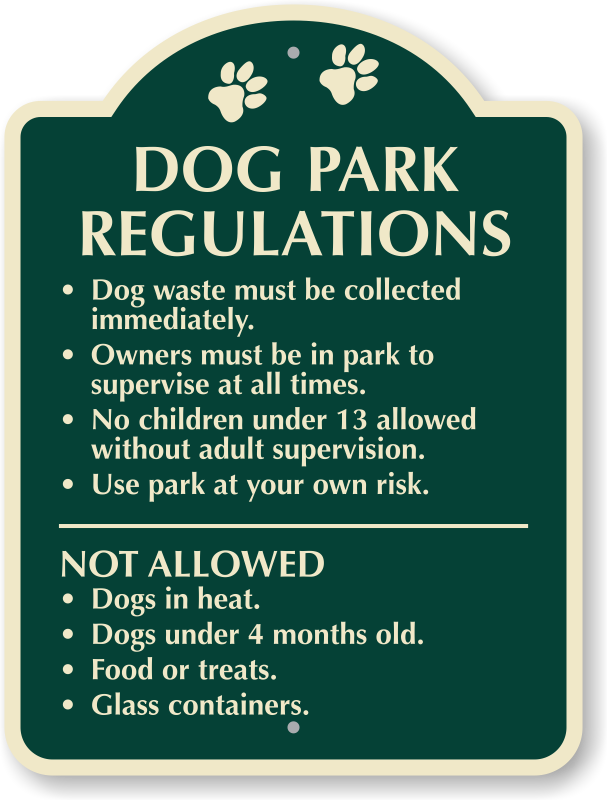 The design artist tweaked the verbiage to look and read exactly the way I wanted it! 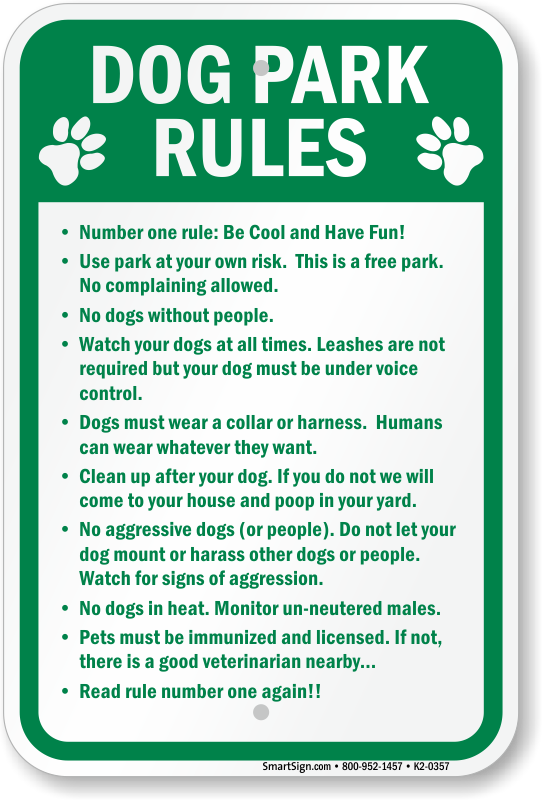 Now to see if people will actually read them and follow the instructions. I will definitely use this company again in the future. Just what we needed. Would order again. Good quality - now to see if they make a difference!! !